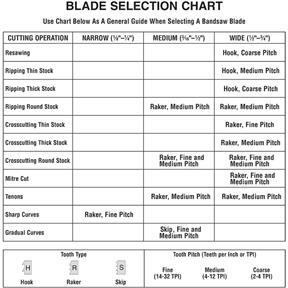 I have been buying these blades for years and work well for the cost. I do alot of resawing and these will split a 12" board in half straight and true. But I didn't know that Grizzle will charge Shipping on back ordered items. I wish they would let the customer know this when ordering. I have not yet used this blade but it seems to be of good quality and reasonably priced. 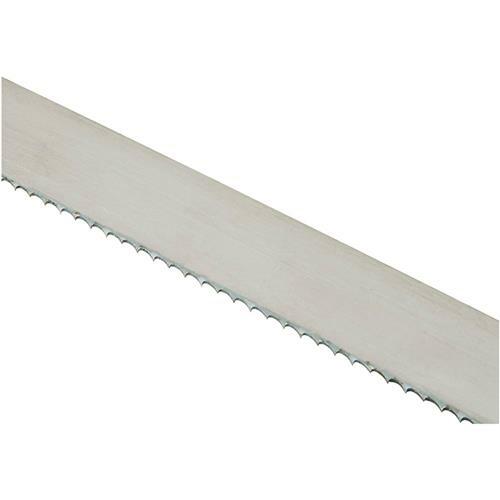 I bought the h4809 3/4"blade also the h4810 1" blade to use for re sawing black locust air dried to about nine to eleven percent for a project blanks are 3"x9"x36" long finished dim is 1-3/4"x7"x36" used the 3/4" blade cut great even on the 9" cut. Haven't used 1" blade yet.